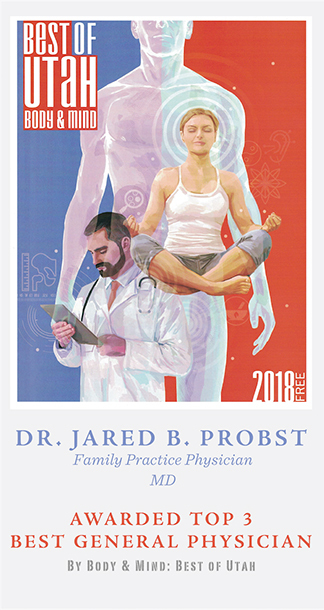 Dr. Probst is a graduate of the University of Utah School of Medicine, and completed his residency and training in Family Practice at the Medical College of Wisconsin. He has special interests in pediatrics, sports medicine and preventive health. Dr. Probst grew up and currently resides in the Holladay area with his family. He enjoys many outdoor activities, reading, music and personal fitness. Dr. Probst has a special interest in pediatrics, sports medicine and preventive health. He is also trained on a wide spectrum of specialties including internal medicine, office surgery, dermatology, women's health, anxiety and depression. Certified by the National Registry of Certified Medical Examiners to perform DOT/CDL Physicals.